Data storage is the process by which information technology archives, organizes, and shares the bits and bytes that make up the things you depend on every day—from applications to network protocols, documents to media, and address books to user preferences. If you think about a computer (or a network, which is just a bunch of connected computers—servers included) like a brain, there’s short-term and long-term memory. In a brain, the short term memory is handled by the prefrontal cortex; in a computer, the short term memory is handled by random-access memory (RAM). RAM is responsible for processing and remembering all the requests and actions of a computer during the time it’s awake. In the same way that you get tired after a full night of studying, RAM slows down the longer the computer is awake because it’s remembering everything that’s happened in the past as well as performing any new task that comes through in the present. When you go to sleep, your brain converts your working memories into long-term memories in the same way that a sleeping computer clears its RAM by transferring it to a storage volume (like a hard drive, virtual storage node, or a pool of cloud storage). 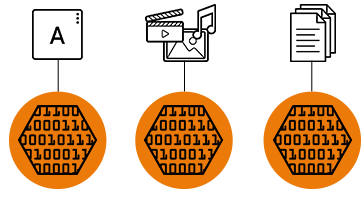 A computer also distributes data to different storage volumes depending on what the data is (maybe 1 storage volume is dedicated to rich media, another is responsible for caching browser activity, and a third stores big data), in the same way that your brain distributes short-term memories depending on what the memory is (semantic, spatial, emotional, or procedural). Software-defined storage (SDS) is part virtualization software and part storage management software: It abstracts the bits and bytes of data contained with hardware, formats the data into block, object, or file format, and organizes the data for network use. 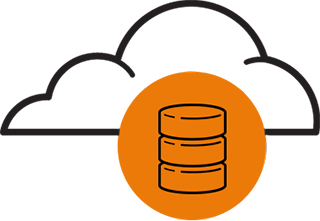 SDS works particularly well with workloads based on unstructured data (like the object and block storage systems that containers and microservices rely upon), since it can scale in ways that that hardwired storage solutions can’t. Cloud storage is useful because it’s not always easy to estimate how much storage your enterprise needs, and buying massive amounts of capacity upfront is wasteful. When storage is turned into a cloud resource, you can add or remove drives, repurpose hardware, and respond to changes without manually provisioning separate storage servers for every new initiative. If your systems are designed using software-defined storage, you don't have to spend time rewriting applications and port them to support a specific cloud's storage services. Network-attached storage (NAS) is a storage architecture that makes data more accessible among a network. A stripped-down operating system is installed on a box of hardware that’s no more complex than an ordinary server—hard drives, processors, random-access memory, and all. 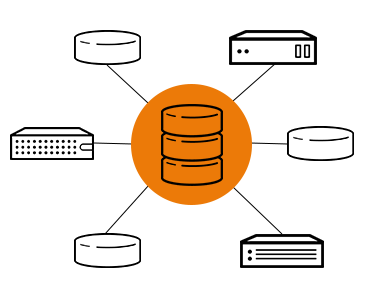 This box (know as a NAS box, NAS server, NAS head, or NAS unit) becomes responsible for the entire network’s data storage, organization, and sharing functions. Facilitated by transfer protocols that allow data to be shared among devices, NAS processes the entire network’s storage requests; giving an enterprise better performance, accessibility, and fault tolerance in 1 easy-to-install solution. An object is a piece of data paired with any associated metadata that provides context about the bytes contained within the object (things like how old or big the data is). Those 2 things—the data and metadata together—make an object. The Data stored in objects is uncompressed and unencrypted, and the objects themselves are arranged in object stores (a central repository filled with many other objects) or containers (a package that contains all of the files an application needs to run). Objects, object stores, and containers are very flat in nature—compared to the hierarchical structure of file storage systems—which allow them to be accessed very quickly at huge scale. Object storage and containers go hand-in-hand: Containers migrate from bare-metal environments to virtual machines and private clouds to public clouds far too often for most storage systems to keep up. Traditional storage is difficult to port and file storage becomes onerous to navigate at the petabyte level, but objects contain just enough information for an application to find quickly and are free enough to store unstructured data like images and text files. File storage is the dominant technology used on direct- and networked-attached storage systems. It takes care of 2 things: organizing data and representing it to us. 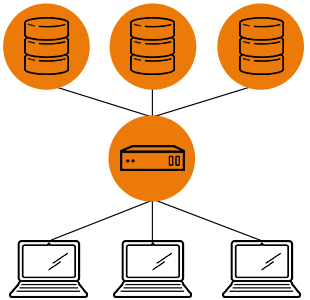 With file storage, data is arranged on the server side in the exact same format we clients see it. This allows us to request a file by some unique identifier—like a name, location, or URL—which is communicated to the storage system using specific data transfer protocols. The result is a type of hierarchical file structure we can navigate from top to bottom. 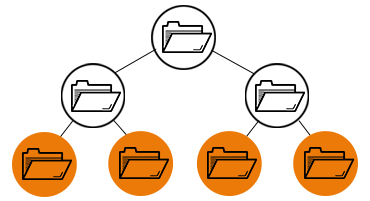 File storage is layered on top of block storage, allowing us to see and access data as files and folders, but restricting access to the blocks that stand those files and folders up. 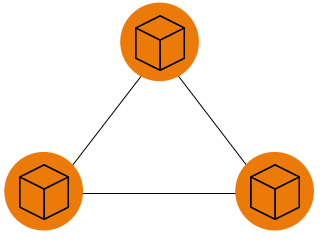 Block storage splits a single storage volume (like a virtual or cloud storage node, or a good old fashioned hard disk) into individual instances known as blocks. Each block exists independently of another and can be formatted with its own data transfer protocol and operating system—giving you complete configuration autonomy.